When something start going wrong with ‘organizing production with money business’ rulers of capitalism take a defensive position for their status in the society. In every production mode, real rulers are the people controlling the basic production tool that is used to organize production. Basic tool to organize production is money or ‘capital’ in capitalism. So we can say that owners of big capital are real rulers of money based economies and societies. When big capitalists face systemic problems in money based economy they would start taking various measures to preserve their capital and this phenomenon would severely deteriorate income distribution. This is what happening in the recent years. -Modern Capitalism went back to 19th century levels of income inequality. -Top managements of economies slip to the hands of big capital dynasties not to talented individuals. Just like it was in the 19th century. -Currently, more than 45 million Americans live on food stamp (state food aid). -Huffington Post reported that, 60% of jobs lost during 2008 Crisis were high wage occupations. However, again 60% of jobs created after the Crisis are low paying occupations. 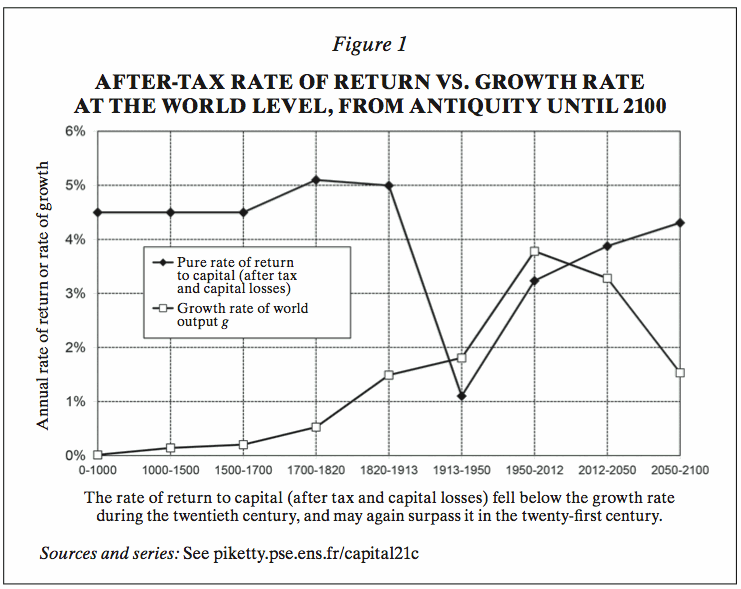 Systemic Crises in Money Economy start by 1913-1914; with rate of return to capital falling below economic growth. The 1st World War, 1929 Great Depression and the 2nd World War, were the initial systemic threats against the money based economy. As soon as the first systemic crisis was seen, big capital owners started ‘corrupting money’ as the strongest measure to protect their capital, wealth and ruling position in the developed world. The US central bank or the Federal Reserve (FED), the creator of modern corrupt money, was founded in 1913! Creating corrupt money (paper currencies not fully backed by tangible assets like gold) and inflating bigger financial bubbles with this device have been the best way of transferring wealth from people to richest elite in capitalism in the last century. Regulations preventing creation of larger bubbles were also removed when needed. Thus big capital owners maintained their ruling position in the system. Today the US FED is tracing growth, unemployment and inflation to decide if the economy is back on track. However debated growth of GDP does not necessarily mean that economic conditions of ordinary people are improved. In fact a recent New York Times article shows that GDP growth turns out to be rich getting richer but people are smashed. (http://nyti.ms/1yjCH7P) The article clearly indicates that after removal of Glass-Steagall legislation in 1999, per capita GDP growth jumped however per capita median house income growth almost remained unchanged. 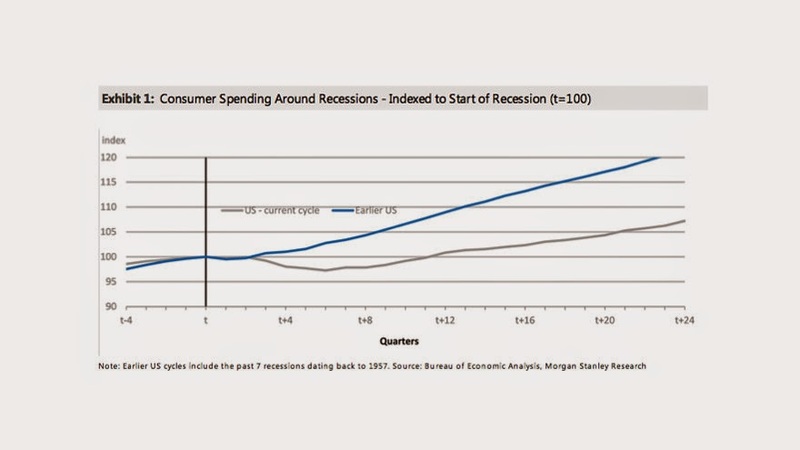 Morgan Stanley states the following: “For US households, the financial crisis was a 30-year debt correction in the making. Left with unmanageable debt levels and constricted access to credit, lower income groups have been forced to spend only what’s in their pocket. It’s important to note, however, that even high-end households have pared back their consumption. So, your debated recovery or newly created part time or low paying jobs do not feed people who are supposed to consume more and turn the economy back to its good old days. Your rich elites are getting richer while your poor start living on food aid and urban farming. To make the situation a total nightmare your debt to GDP ratio is also still unsustainable (http://bit.ly/1sXwPws). Dude you are in big trouble!